I am going to reveal a secret. Those who are already part of the animalclinic family, know this to be true. It is a simple fact... an astonishing one actually ... it is that more than 85% of our pets actually like us. Everyone knows that we like 98.9% of the pets that visit us. I would like to say I like them all, but there are just some dogs and cats that are real hard work, and frankly, between you and me, are just not nice at all. I am not going to focus on the 15% that put on the brakes when they get to the front door - we will still work on those everytime they visit, with the huggles, treats and time to chill out and adjust to the smells and sounds of a vet hospital. I am going to focus on the 85% that get excited when they hear the words " We are off to see Dr Liz" or "We are off to see Uncle Dirk" (those who know us, know Dirk as the dog/cat whisperer of the place). Why is it so important to us, as vets and support team, that your pet actually enjoys coming to see us? the work as a vet is an emotional and physical roller coaster. There are such high highs, and low lows, that we need happy "every day" visits to make what we do worth while. it is always easier to examine a happy pet. We can do things to sort out what their problem is faster if we can actually "lay hands" on them. you are more likely to bring your pet in, if you know it is fun, rather than stressful. After all, who would put their pet through a stress if it can be avoided. But a word of caution.... not all pets love us, and we don't love all pets. And sometimes, the owners get in the way to... some pet owners, well, are just horrid people when it comes to the care of their pets. Fortunately, horrid pet owners are rare in my practice, and actually, I can't remember the last time I saw one! You'll remember I mentioned that over 85% of our pets love coming to visit us. How is this so? How can we make a visit to the vet a happy visit? Well, it all starts with you, the owner. It all starts with how you talk about it to your pet. We all know that we like going somewhere where we are made to feel wanted, and like family. And then, it continues on with us, with our body language of excitement (we can't fake that), and lots of treats for the pets. Dogs and cats are really good at character assessment, and they can sense "fake" a mile off. They either like you, or don't like you. They don't pretend either way. And neither do we. And as I said earlier, astonishingly, over 85% of dogs and cats actually enjoy coming in to see us. Why not discover the animalclinic difference for yourself? If you have never been to visit us before, why not take advantage of the limited offer of a FREE first vet visit if booked online. Of course, conditions have to apply. This isn't for those pets who have a serious or ongoing illness. This is more so for otherwise happy and healthy pets. And, if you are already an animalclinic family member, why not share us with your friends and family? A bit of doggie gastric - vomiting maybe? - Blame the Ham! If the title didn't make you feel a bit queasy, then the rest of this post probably will. So, sorry in advance! And this is a long post, simply because there is a bit of information included, amongst the preaching. Vomiting ---- it is something we have all done, and many of us, probably the first time was on our first day on our own mothers. So, in some situations, it is normal. cats do vomit - and need to see the vet! 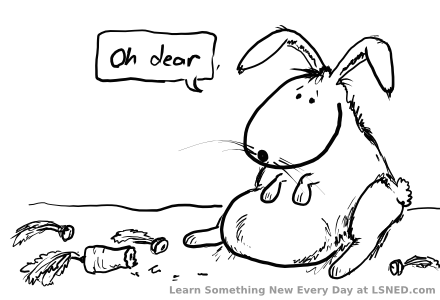 Trivia Point: Did you know that rabbits cannot vomit? Back to topic.... It is yuck. We know that horrid feeling. And we feel our pet's discomfort when we watch them gag and vomit. Hence, the phone calls vets all over the world get daily about vomiting pets from very concerned owners. Good on you for taking the time to call us, as, you are right... you should be concerned. Vomiting is such a common sign, which occurs with many conditions, and some pets vomit so regularly, that some owners think that it is normal. BBQ - not even the leftovers! There are few other things we need to look at but that is why you need to take your pet to the vet. So, if your pet is a bit flat, ate a few sausages and a kebab or two at the barbie a few days ago, or wolfed down a hot dog yesterday, their mouths are very salivary and they are drooling, with a tense tummy, even without diarrhoea..... your first thing to do is CALL the VET! Why, you ask? These things have happened before and your pet has bounced back, you say? Then lucky lucky you. Because all of those things are tell tale signs to vets that we need to go looking for the "P" disease. That is, Pancreatitis. I remember the days, many many years ago, where vets suspected dogs had this disease (and didn't realise cats get it too), but struggled to diagnose it until it was severe. These days, we have in-clinic test kits to check, and this is what I do in almost all of my vomiting cases, if there is any hint of upper abdominal pain or, as I call it, a sore tummy. So, what is Pancreatitis? There are alot of information sheets out there on this, but specifically, it is an inflammation of the Pancreas. The Pancreas is beautifully nestled in the upper section of the small bowel, just a hop skip and a jump from the stomach. It sits awfully close to the liver too. It's functions? Well it has two, actually. The pancreas is a beautiful organ in that it has two very important functions, working side by side, but when one gets upset it affects the other. Like twins. One function is the production of enzymes which help in the digestion of what you eat, especially those fatty or high protein foods. It is these enzymes which leak out which causes the inflammation, as the pancreas starts to digest itself (bit gruesome, as it doesn't really auto digest, but it does stir up trouble). The second function is managing the insulin levels in your blood stream, so it is perfectly balanced to the foods that you eat. So if you eat alot of sugary foods, then it produces the insulin to allow your body to use these up. Overall, a very very busy organ, that I don't think we respect enough.... unless you get a bout of pancreatitis, or you have sugar diabetes (Diabetes Mellitus). The treatment of pancreatitis usually involves hospitalisation, aggressive fluid therapy, pain relief, and time. Fingers crossed that your pet won't need surgery to treat this condition. And yes, pets can die from this too.... when there is so much swelling and inflammation that other organs are damaged too. So, let's respect your pet's pancreas this Christmas. 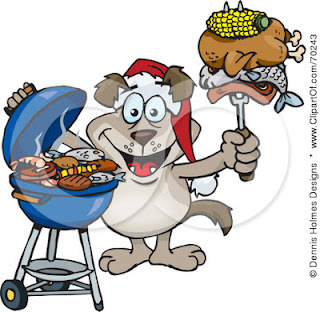 Don't give your pet a piece of ham, the left over steak, the Christmas pudding, a grape or two (this can cause renal failure), a ham bone (please don't, ever), a sausage or two, Roast Pork (that is too yummy to give them, but even if we love them, no... it will make them sick!). It's not much, you say? Well, did you know that a biscuit to a 10 kg dog is the equivalent of us eating a hamburger, in caloric terms? And you have given your Maltese dog two bikkies? Can you imagine eating two hamburgers at once? I feel sick at the thought. Back to respecting your pet's pancreas. And, if you really feel like giving them a bit of pork crackling, why not buy a "Pigs Ear" from your vets? 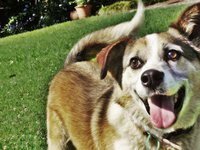 Really, what you need to do is to keep your pet as healthy as you can. That is all that all vets in the world want for you and your pet. There is a cute little commercial on TV in Australia at the moment... well, cute is the wrong word, I think. It is quirky. And it ends with a white bunny rabbit sticking its tongue out (like a frog) to eat a butterfly. Just bear with me... I am not mad (much). Why do you think this commercial is so interesting? And why I like it? Well, it is basically advertising a drink, which I don't really remember what it is, but this drink is obviously not you would have expected by its appearance or its name. 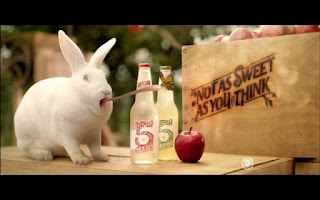 And that is, you will see, is what that bunny (and commercial) and I have in common. All of what we do, at Russell Vale Animal Clinic, is not what you would expect for our size (as a solo vet) or our location (in the boundary corner of Bellambi and Russell Vale) in the northern suburbs of Wollongong. We aren't fancy, and we don't pretend to be best vet in town. We don't have the best equipment, or the most staff. We don't have the longest hours, and we aren't open 24/7. So, what do we have that makes us the bunny rabbit eating the butterfly.... in other words, what makes us, possibly, the right vet for your pet? Dirk, the vet nurse, with Benji - pretending to be twins! All those who visit us at Russell Vale Animal Clinic, join our animalclinic family. And with that, comes all that having a family means. It means that we will treat you honestly, and fairly, with respect, and that we expect there to be some disagreements also. But blood is thicker than water, and we will fight for what is right for your pet, every time. Seriously, we do. But that comes with its own problems too. Because we care about our animals, and we see ourselves as their voice in some situations, we know that sometimes you don't like to hear what your pet (via us) has to say. This is important. We don't try to be everything for everyone. We know that we may not be the right vet for you or your pet. That may be your choice, or it may be that your pet has a medical or surgical problem, that really needs someone different to deal with that. That is our guarantee.... if we don't feel that we are perfectly capable of performing the procedure or test on your pet, then we will tell you so. Which means, when we do do something, we are confident in our abilities to do it. And, we respect that even if we do think we have the expertise, we also understand your right to choose another vet. And this dog's mouth looked normal. Dr Liz (aka moi), is one of a handful of vets in the Illawarra with a CMAVA after her name. 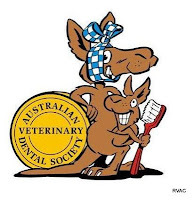 This means that Dr Liz is a Chartered Member of the Australian Veterinary Association - this is an earned title, which is issued each calendar year, in recognition of "Continuing Education"... and Dr Liz has had this issued since 2003 - each year - without fail. And in that, she is unique in the area. An example of this committment, is providing dental xrays since 2005, and digital dental xrays since 2009, and currently, the only veterinary hospital in the Illawarra to provide intra-oral dental xrays. We were the first vet to offer 3 year vaccinations for dogs, as well as titre testing in high risk patients. Well, this is the part you do not see, but often complain about when you see the bill. We are committed to purchasing quality surgical instruments, safe anaesthetic medications and machines, single use suture materials, just to name a few. We could use cheaper drugs, and cheap stainless steel instruments, and this would certainly make the service we provide alot cheaper for you. But we won't compromise on quality. We believe your pet deserves better. Our committment to reduce the cost of veterinary fees for you. - installing a solar electricity system, as electricity is one of the expenses that has jumped dramatically in the past few years (as it has for you). 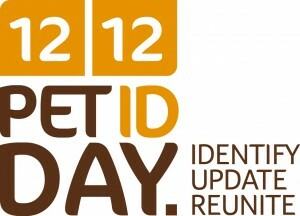 - Switching to txt messages and emails where feasible, without compromising the personal phone call where necessary. - Offering an online booking system - means you save money too - just book online, and get confirmation online! We choose to stay small, family and local. I used to have employees, and hired locums when I needed holiday time... but that didn't quite fit in with my "family pet vet practice" that was my vision in my head. So, we chose to go small, and stay small. We know in this era of big business, corporate medical facilities, and profit driven practices, that the smaller family based businesses find it hard to compete against the "economies of scale" offered by other veterinary hospitals. But our committment to you.... is that we are here for your and your pet, and will stay here for your and pet so long as we are needed in the community. Because without you, there can be no Russell Vale vets. Let us hope that it is for a long long long time. Why is Russell Vale Animal Clinic Closed.... for Holidays? Strange, I know, that a business, a veterinary service provider, will close to take Holidays. I am Dr Liz, and I am the vet at Russell Vale Animal Clinic. And, in the days gone by, I used to have a fantastic team of vets and nurses who I could trust my beloved baby, my vet hospital, whilst I took a few days off here and there. And then, I had a few unfortunate experiences with Locum Vets, which changed my attitude to providing staff whilst I was away. .. hire someone, pay them $500 per day for no one to really see them, and still annoy the 30 or so clients. Times when I want to take holidays, are times when I want to clone myself, and just have them operate the vet hospital whilst I am away. Not forgetting, that we are a family vet hospital, and will need to replace Dirk (or clone him, although some days, one of him is enough). So, why are we closed? It isn't because we don't care, but it is because we are here for the long haul. I want to be a vet to your pet in 2013, 2015 and beyond all of that. I don't want to be an exhausted, burnt out, emotionally cold vet, who doesn't care, or who only cares about money. I am passionate about my chosen profession, and the animals I look after. And for this, my family and I have to recharge our own batteries. I feel the same as you, when you are in need of your family vet provider, you are devastated when they are not available for you. And I understand how you feel if this happens to you, as you may feel that your pet deserved better. Your pet deserves the very best of vet care that is humanely possible. Which means that your pet deserves a vet that is there to fight for them when they need it. You and your pet needs to know that if I am there fighting for you, I am there, 151% fighting for you. As I do, always! But sometimes, I need to fight for me and my family to. So, we take a break, close up shop, go away, and recharge our batteries. So we can be there for you, totally. That is why we are closed at certain times of the year. I am sure you will agree, that family is precious, and time we have with them is short. We thank you for allowing us to be your family vet. It is almost Christmas 2012.... and for me, I have been on this Earth for 45 years, and my memory recalls the last 42 years. I remember as a toddler going to a beach in Wollongong where another child was abducted, and the noise of the diggers going through the trenches. It was noisy, I was scared. It was not peaceful. I remember being in infants school at West Wollongong, hearing about the starvation of children in Africa. I remember wanting to do something to help them. And my mother saying to me, there will always be starving people in Africa. I couldn't understand her attitude, but sadly, after 40 years, she is still right. In Primary School, well those years are vague. I seem to have blocked those years out totally. In High School, there was conflict everywhere, but I remember the boats coming in with refugees from Korea, and Europe. I remember my parents helping families coming in from Poland, as they were of Polish origin themselves, although Australian Citizens. In my Uni days, well, I tried to block out all conflict, as life was traumatic enough within my family, without the outside world. But I do remember clearly, the breaking down of the Berlin Wall... and the belief that the "Cold War" was over. The constant has been that each Christmas, we hope for Peace, and each year, there is conflict, with people dying, with someone else justifying this death. Each of us, at some point in our lives, would've heard the story of the men shaking hands and sharing Christmas songs in the middle of World War 2, or the Secret Santa giving gifts of joy to those who need and deserve it. These are stories which bring tears to my eyes, and hope to my soul. Why do we have to wait for Christmas or designated days of World Peace or World Kindness Days for the message of peace to come to the front? Why can't our news broadcaster include, in every news day, a story of peace and hope, instead of the doom and gloom? Peace is "too hard" for many people as we think we need to fight it on a global level, and that is just too hard. What can I do for World Peace when I am just a simple vet. What can you do ? when you have a family, a mortgage, the stresses of surviving day to day. I am sure you will see that you and I can do alot. We may not change the world, but we can change our corner of it. And if more people choose to change their corner of the world, then that is alot of corners that have been changed. Without going into details, my family and I have alot of reasons to hate the world, and be bitter at what it has thrown at us. But we choose to stand up strong, and say... evil people exist out there, who only care about money and power, and you may win at some level, but I will not be broken by it. Stand up and say ... I support a world where everyone has a piece of Peace. If each of us supported Peace in our little corner of our world, then, we have World Peace. You’ve been to your vet (or even us), and they have said to you “ Your pet needs a dental”. What does “need a dental” mean? I don’t like that phrase, but unfortunately it is the lingo of the land, I will go into what “need a dental” means for us (if you remember that it does not mean the same thing in other veterinary hospitals. is hiding in your pet's mouth. Whoa... I have gone too far here.... I bet you don't believe your pet even needs a "dental". I know you will agree with me when you read the following statement " My pet eats with no problems at all. I can't believe my vet says my pet needs a dental." Well, you aren't alone in your disbelief. You are right.... well, half right. Your pet eats. It has to. It is either that, or die, and really, most pets don't want to go there yet. But, no problems at all? Be honest with yourself, for your pet. Over the next few weeks, sit down when your pet is eating... and watch them. Do they seem comfortable whilst they are eating, or does it seem like they are pushing food around their mouths, maybe dropping a little food, or seem to be rubbing their muzzle after eating. Be honest with yourself. I am not standing behind you double guessing what you are finding. You need to be honest for your pet's sake. So, in your opinion, the owner, what do you think? Still not sure what you are looking at? If your pet's teeth are any colour other than white, or gums, any thing other than pink, then that is not normal. If you smell your pet's breath, and you actually smell something... then that is not normal. As a vet, we are trained for "not normal' so we can easily say "this is not normal". As an owner, I understand that the phrase "your pet is not normal" is uncomfortable. What grade are your pet's teeth? Not sure? There are alot of websites which go through this for you, including ours, with multiple handouts on dental care. Or you can just send me the photos (yes, you can... no need to be embarrassed. My website has the address. Even better though, most vets are involved in Pet Dental Month, where free dental checks are on offer. This beats a "match the picture" job for your pet. And with us, we offer FREE dental checks each six months for all registered patients for the life of the patient, and for new clients, we offer a FREE dental check. When are these months? National Pet Dental Months are February and August. For us, well, every month! These 'dental months" are not to twist your arm to force you to do something against your will, but purely to raise awareness of the hidden disease that could be hiding in your pet's mouth. So, check your pet's mouth now. Lift that lip, breath in the aroma that is your pet's breath, make sure you are sitting at the same time, and be honest with yourself for your pet's sake. Why not post what Grade your pet's teeth are, to let us vets know what the overall population of pet's teeth out there are like, in your eyes. And then, in all fairness to your pet, and I am sure you will agree with me that your pet deserves the truth, if your pet has any degree of staining, tartar, brown stuff, red gums, smell or anything like that, then they need professional dental care that only your vet can give. How can we help you? As advertised in the Illawarra Mercury in December 2012, we are offering a $249 Dental Clean. This is not your standard "scale and polish" offered by others, as it also includes dental radiographs (I will not do any dentistry without them), as well as minor extractions (as I can count on four hands the "scale and polishes" that had healthy gums and didn't have any teeth rotten out of 42 teeth. Your pet's health is the most important thing for you and for me... so let us work together to keeping them healthy.